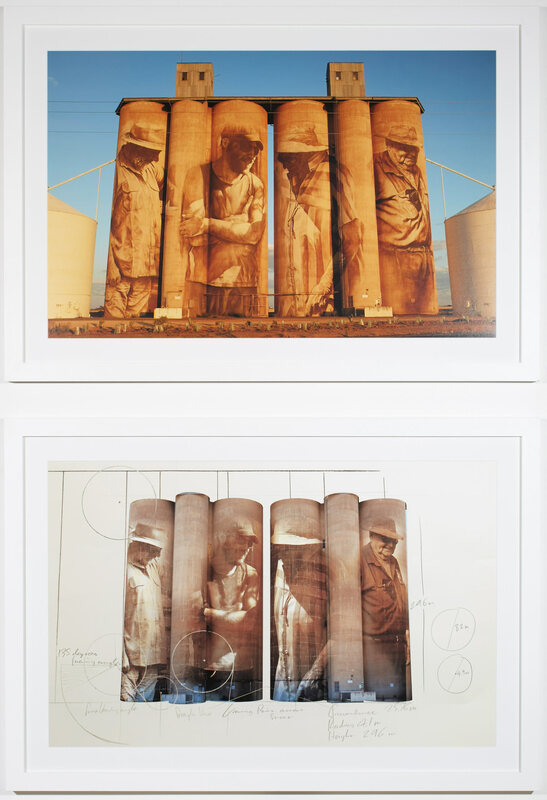 As part of the Brim silo art project , I painted portraits of local figures on six 30-metre high decommissioned grain silos in the tiny drought-stricken town of Brim in the Wimmera region of Victoria, living in the area during its development. The work explores the struggles in coming to terms with community identity, at a time of immense economic pressure and climate change, by rendering people as both central and peripheral (present and absent). Using the documentary style of humanist street photography as studies, the translucent aerosol technique conjures a sense of ghostliness. The results are transient manifestations, which are profoundly connected to their chosen desolate place and comforting presence in the landscape.